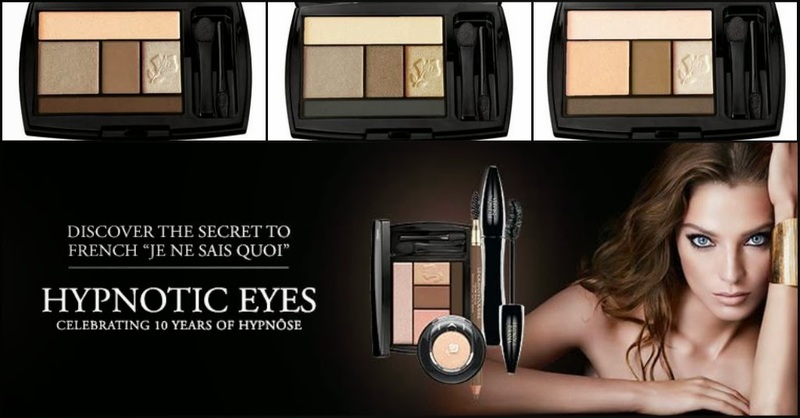 I was browsing Macy's website for some Lancome products so I could take advantage of their super cute GWP, and I noticed a new collection called Hypnotic Eyes. My own collection of their Color Design 5-Shadow and Liner Palettes is always expanding, and seeing these three new ones isn't helping me to control that! I jumped over to Lancome's site to see if there were more/different pictures, and I noticed their description says that these are MATTE! I die. The collection also contains 5 new shades of their Color Design Sensational Effects Eye Shadows, and their finish description reads "Shimmer to sheen and metallic to matte". Eclair, the shade on the far right, looks like a taupe beauty that I may need in addition to one (or three!) of the 5-shadows. Here's the GWP that started me down the road to this evening's cosmetic-induced financial ruin! This is free with any $35.00 Lancome purchase. 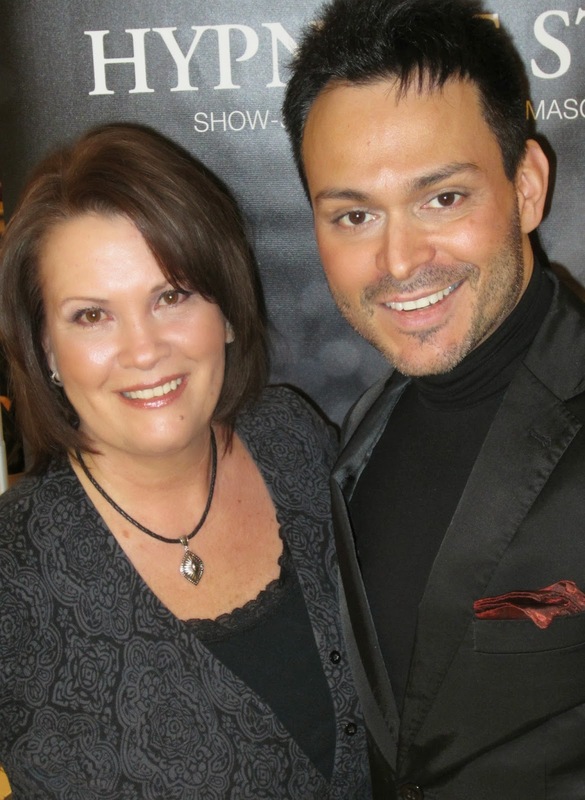 Just for fun, here's a picture of me at a Lancome event last February with Lancome's National Make Up Artist Alex Sanchez, at our local Carson's counter. I live in a small town, so I was thrilled that our counter was able to offer this event. It was a great learning experience, and Alex was so informative and just a super nice guy.